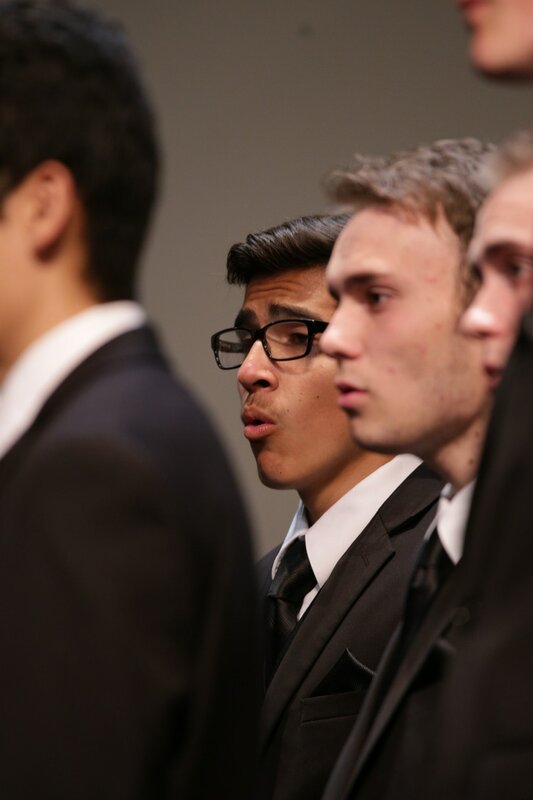 Mountain View High School has a rich tradition of excellence in choral music. The school has seen many great directors over its years and boasts a program of over 230 students, nearly 20% of the student body. Choirs from Mountain View High School have performed across the country and consistently receives superior ratings at both state and national music festivals. MVHS Choirs perform four times each school year in the MVHS Grand Auditorium: a fall concert, Christmas Concert, Fundraising Pops Concert, and a final Festival showcase. Each choir also performs as part of the seasonal Performances at Temple Square in the month of December. Individual choirs have numerous additional performances ranging from mini-tours to care home visits. Students in MVHS Choirs receive a balanced music education spanning the breadth of Utah's state standards in choral music education. Students primarily learn the power and beauty of healthy choral singing. In addition, they learn to read and write music notation, develop listening skills, and have opportunities for musical creation through guided improvisation and composition. For a more detailed calendar of the year, including dress rehearsals, after school rehearsals, etc., please see the Calendar page of the Disclosure Document. MVHS Choirs are directed by Brett Taylor, graduate of Brigham Young University. 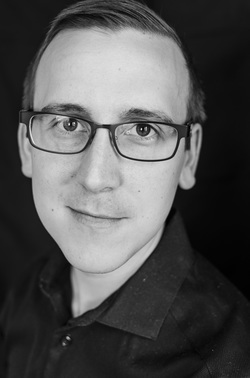 With an extensive instrumental and vocal background, Mr. Taylor brings precision and passion to the study of choral music. His love for music and people is evident in his energetic teaching style and exuberant personality. In addition to directing six choirs, Mr. Taylor teaches a music composition class in the spring. His personal hobbies include bouldering, guitar playing, frisbee, hiking, photography, woodwork and picnicking with his family. His wife, Allison, is also a musician and teacher. She directs the New Horizons Orchestra of BYU and runs a private violin/viola studio. They have three children who radiate joy to all they encounter. Follow Mr. Taylor's musical happenings on Instagram @ mrtaylorsmusic. And check out some of his favorite choral music on Spotify.